"I had hight hopes for my life. The sky was the limit. 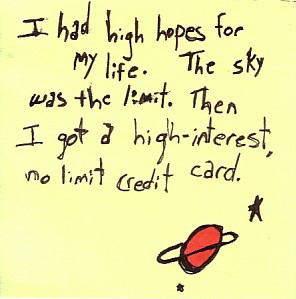 Then I got a high-interest, no limit credit card."